We’re delighted that Katherine Gibson (Community Economies Research Initiative, School of Humanities and Communication Arts, University of Western Sydney) will give the 2012 Antipode RGS-IBG lecture, ‘Take Back the Economy, Any Time, Any Place: Pedagogies for Securing Community Economies’, on Tuesday 3 July between 17:20 and 19:00. The lecture will be followed by a drinks reception. As Katherine explains, the agenda of the popular book Take Back the Economy, Any Time, Any Place is to offer a set of tools and metrics to prompt ethical deliberation around key concerns of a community economy. In a world surrounded by knowledge technologies that habituate us to capitalist economic dominance this manual offers techniques for re-subjectivation. As a sense of hopelessness spreads in the face of inaction on climate change it documents encouraging cases of collective action. Rather than advocating alternative blueprints for the future, it outlines the choices we are confronted with when we aim to live with each other and earth others with respect and care. Building on Gibson-Graham’s reframing of the economy, the book suggests that a sensitivity to economic diversity is a precondition for building more resilient and thus secure livelihoods for all species. In this lecture I outline ways of taking back work, business, markets, property and investment and introduce key concerns for securing economies centred on the wellbeing of people and the planet. 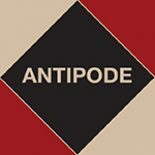 We’ve pulled together a great set of papers by Katherine and her colleagues – ‘Imagining and Enacting Community Economies‘ – to form a virtual issue of Antipode; all the papers will be open access until the end of the year. Enjoy, and we’ll look forward to seeing you at Katherine’s lecture next week. This entry was posted on 28 June 2012 by Antipode Editorial Office in Other and tagged community economies, J-K Gibson-Graham, Katherine Gibson, Pedagogies for Securing Community Economies, political economy, re-subjectivation, RGS-IBG Annual International Conference, Take Back the Economy Any Time Any Place.